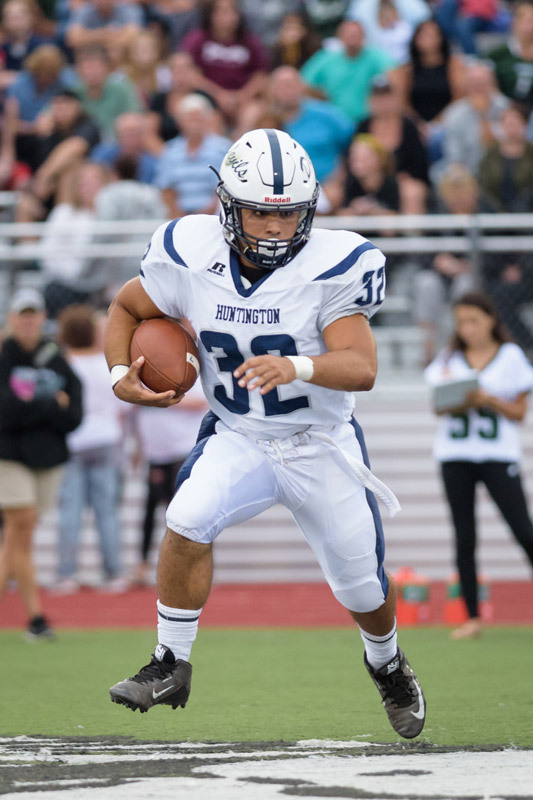 The Blue Devils were upended by defending Rutgers Trophy champion Lindenhurst, 25-0. Huntington was unable to mount much of an offensive attack. A dropped pass that appeared likely to result in a touchdown was as close as Big Blue managed to get to the end zone. 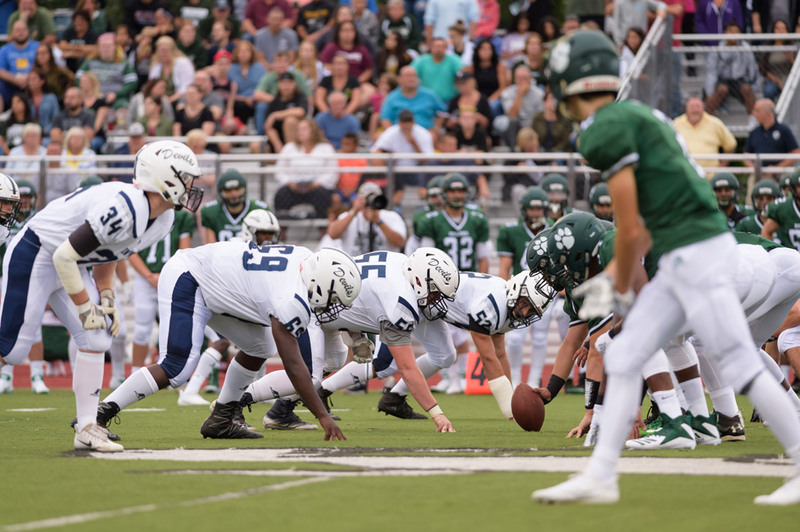 While there was no shame in losing to Suffolk and Long Island champion Lindenhurst, the Blue Devils will do whatever they can to come away with a victory on Friday night in Deer Park. Huntington has won the last three meetings with the Falcons, including wins in 2017 (28-7), 2015 (26-6) and 2012 (41-3). Deer Park’s last victories came in 2009 (17-6) and 2010 (21-20). Huntington is captained by seniors John Paul Paci IV, Pat Durand, Bryce Criscuola and Eric Sands. Todd Jamison and Kevin Graham are Muller’s varsity assistants. James Byrnes Sr., James Byrnes Jr, Ron Wilson, Billy Harris, Kevin Thorbourne and Julian Watts are also on the program’s staff. Andrew White volunteers with the varsity. Steve Henry handles filming. Kelly Hatzmann is the athletic trainer.